Washington Drug and Alcohol Treatment Facilities. Are you looking for Washington Drug and Alcohol Treatment Centers? Our listings listed below can help. Not only are lots of drugs sold in Washington but large amounts are imported from Canada with the sole purpose of being distributed throughout the United States. Marijuana and ecstasy are amongst the most popular drugs shipped in for this purpose. BC Bud, a high potency form of marijuana, is one of the predominant drugs in the Canadian/Washington drug trade. The crystal meth market in Washington, however, is controlled mostly by Mexican drug trafficking organizations. The drug availability and consumption of this drug is widespread and is one of the most problematic for the state. Cocaine and crack can be found throughout Washington as well. Crack cocaine is mostly sold and used by those in inner-city, low income areas. The trade of this drug is dominated by Mexican drug trafficking organizations as well. The type of heroin that is most popular in Washington is Mexican black tar. It has origins in Mexico but is often directly imported from California. Methamphetamine use has proven to be quite problematic. It is abused by those from all socioeconomic backgrounds and ethnicities. The most popular form is crystal meth. It is the most potent, addicting and dangerous. Mexican drug trafficking organizations are the most influential meth traffickers in the state. There are some domestic laboratories in Washington, however, their production has decreased because there are laws on the books which limit how much pseudoephedrine and other necessary chemicals to make the drug, can be purchased. Most of the ecstasy abused in Washington comes from Canada and is shipped directly into the state. LSD and GHB are also fairly popular club drugs. Marijuana can be found throughout Washington. It is either of the Mexican variety or BC Bud from Canada. BC Bud is considered to be of higher quality and is more potent then other types of marijuana. The abuse of prescription medications such as Percodan, Oxycontin, Percocet, Lortab, Vicodin, Methadone and even anabolic steroids have all proven to be problematic and of great concern to law enforcement agencies. These drugs are being purchased online, obtained via forged prescriptions, doctor shopping and theft. 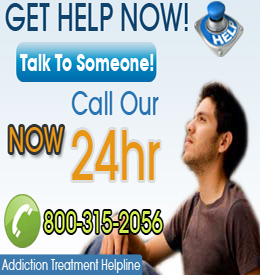 Choose a City to Find Addiction Help in Washington.